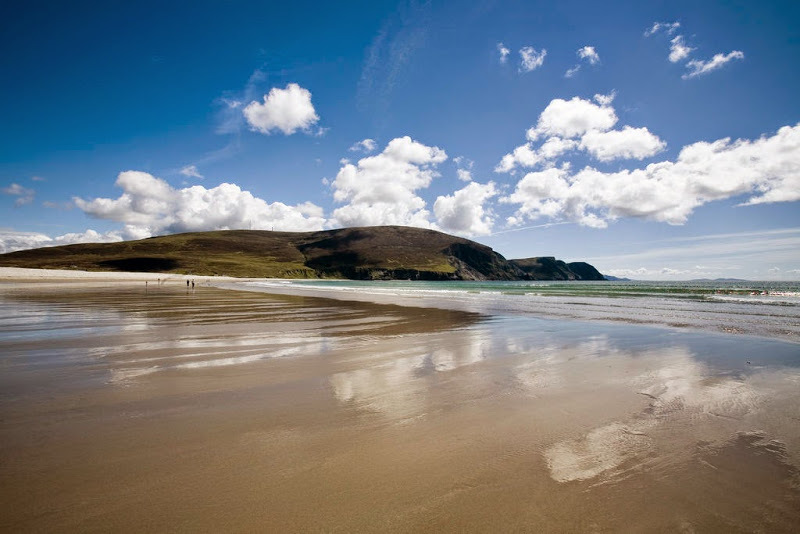 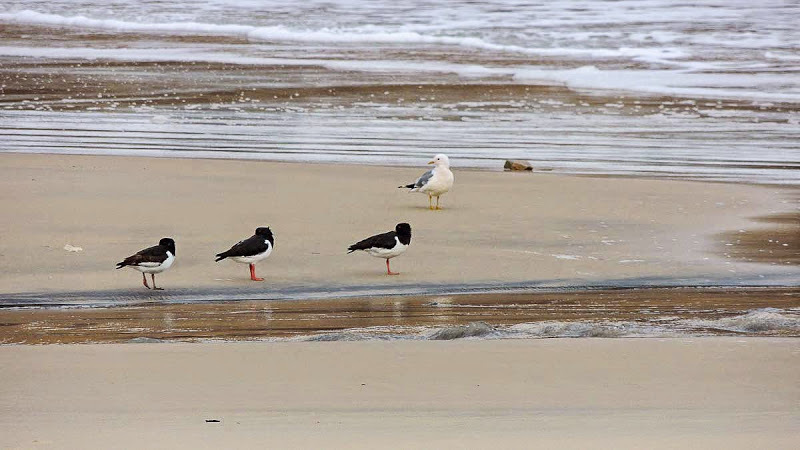 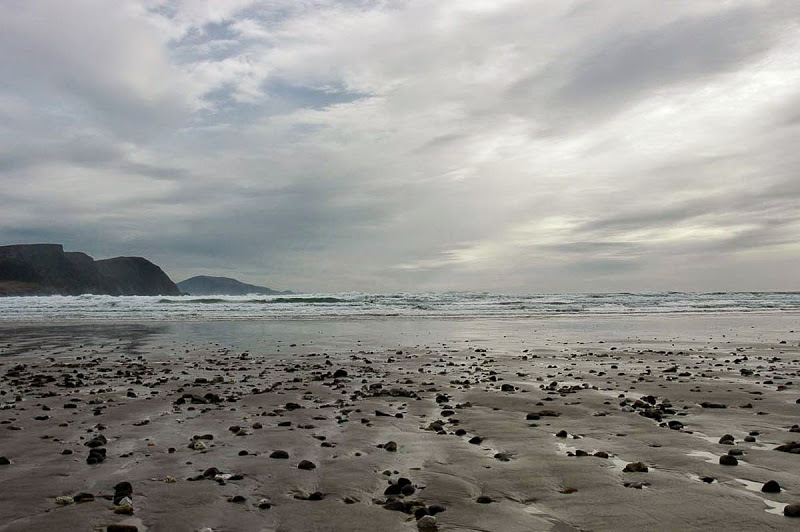 Keel Beach, under Achill Head, is one of the most popular and magnificent sandy beaches on Achill Island. 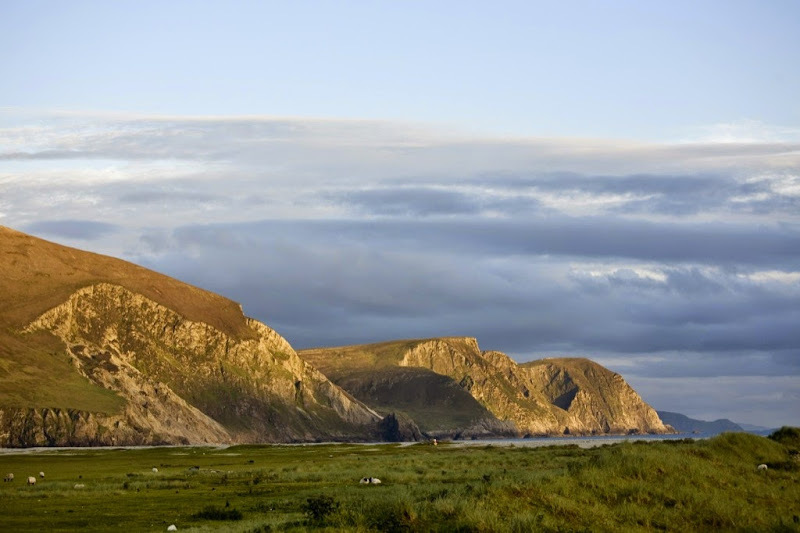 From the beach you can see Slievemore where the famous Desert Village is sheltered, and Mweelaun Cliffs; looking six miles south you can spot the Bill, a legendary isolated arrangement of three rock stacks. 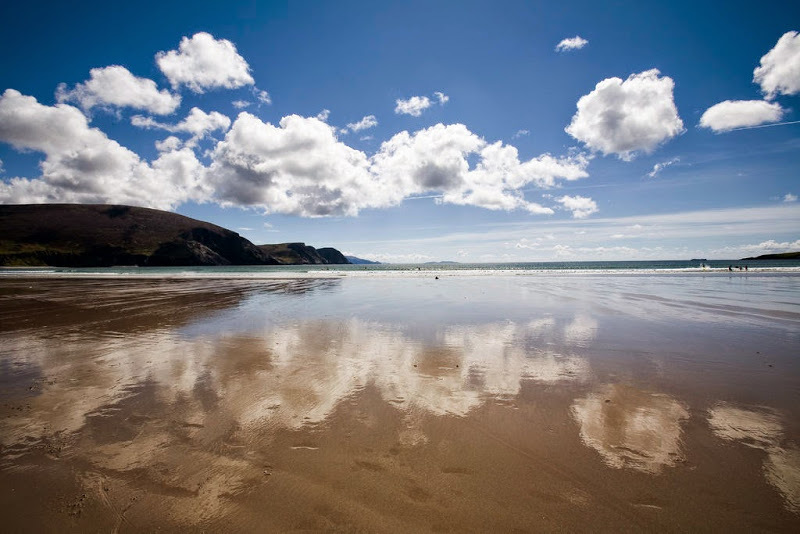 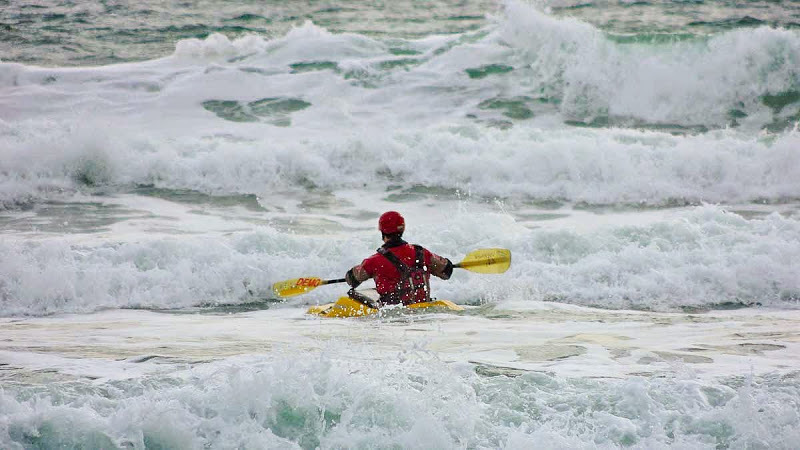 Keel beach is a haven for a variety of water sports such as diving, surfing, windsurfing, swimming or even for a stroll on the long golden sandy beach. 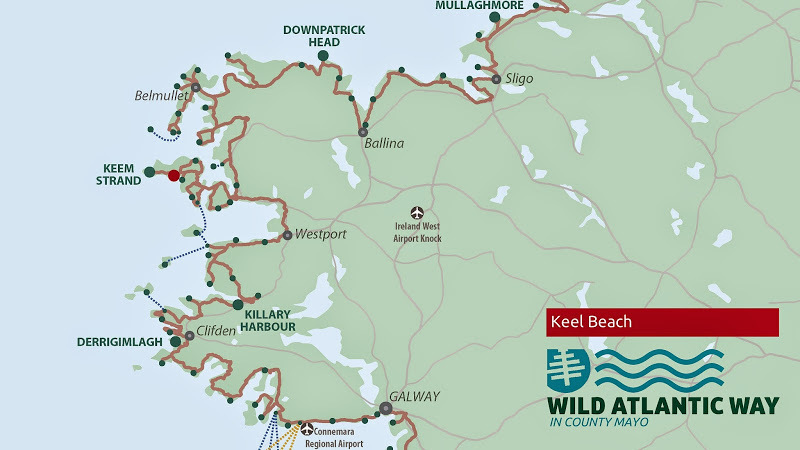 The picturesque villages of Keel, Dooagh and Doogort are within easy reach. 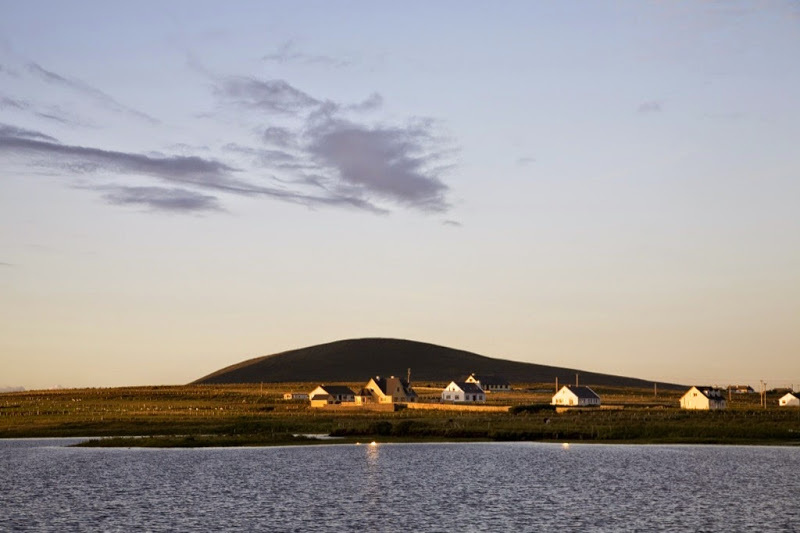 The artist Paul Henry lived and worked here from 1910 to 1919.